If you use social media you may have noticed, if you don’t it could be something that you are not aware of. However, burglary in Liverpool is up massively this year from last but the highest it’s been in the city since 2013/2014. According to UKCrimeStats.com the number of recorded burglaries in Liverpool was 988 from March 2015 to March 2016. Fast forward a year and we see the number of incidents reported to 1433. That is a mega 45% increase in just 12 months. Until this year, burglary was on the decline with 13/14 seeing 1451 incidents with a decrease in 14/15 to 1209 reported incidents. How Does a Burglar Gaining Entry? Thieves have always had their own ways of gaining entry to our personal property. However, there is a particular mode of entry that is on the increase. Burglars still use the old fashioned method of smashing their way in through your lovely French doors or windows. Although this isn’t the method we are seeing is on the up. 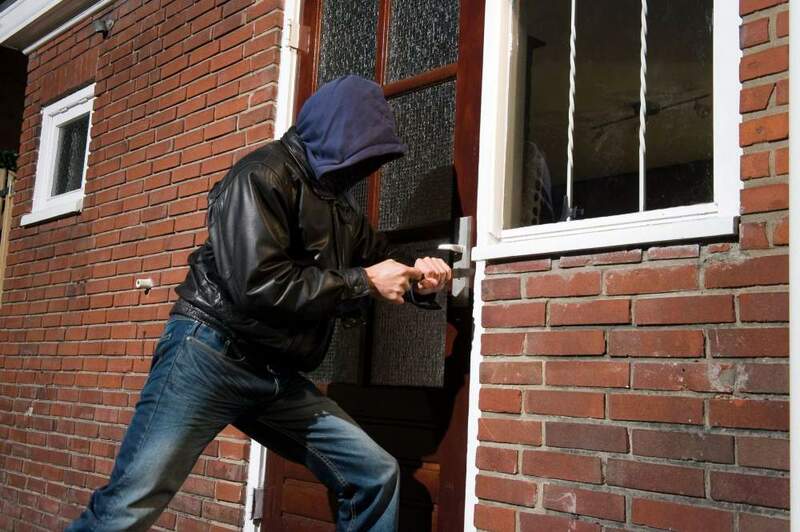 There is a worrying trend of thieves gaining entry via your front door. They use special tools that can open an unlocked door even if you cannot open it from the outside. A large number of incidents we respond appear to show thieves using a crowbar or other tool to slide through the seal in your door. They then move the catch and the door opens, pretty much silently. The police also tell us that thieves have known to use a coat hanger (yes a coat hanger). They shape the hanger and reach through your letter box, they then hook this onto your door handle and open the door from the inside. We have even seen incidents of locks being drilled and poor quality door handles snapped allowing easy entry. How Do I Protect Myself From Burglary? In truth there is no 100% way to avoid being a victim of crime. However, there are plenty of easy methods you can implement to make sure you don’t look like an easy target for the thieves. 1st of all ensure your doors are LOCKED, burglars will go around the houses and check the door handles. Unlocked doors could invite a burglar into your home. Secondly, leave all valuables out of sight again to reduce the risk of looking like a valuable target. Apart from things you can do yourself you can also call a reliable Liverpool locksmith. They can install covers for your letterbox to stop anyone being able to reach in. A locksmith can help you with some high quality locks, even locks with an anti snap feature. Having your locks changed or installing CCTV is also something to think about. High-security locks are a lot more difficult to drill out. As we have said, none of these guarantee you will no longer be a target. However, having these in place will make your house less of a target and burglars will simply move to a house that appears much easier to gain entry. If we have given you plenty to think about and you’d like to consider your home security then take advantage of your free home security survey. We will take a complete look around your home and explain some of the potential pitfalls in your security. There is no obligation to buy anything we suggest. You will also get a full breakdown of our quotes so you can decide what you would like to implement (if any) and exactly what it will cost. If you know someone affected by burglary then show them this article. We can help them stop it happening again. Contact Lock Safe to discuss your needs. Our friendly staff will help you 24 hours a day. Do Your Locks Invalidate Your Home Insurance? What is an Anti Snap Door Lock & Do You Need One in Liverpool?